Laurel & Hardy are as popular as they come when it comes to comedy teams, and thankfully Stan & Ollie is not your stereotypical cradle to the grave biopic of the performers. Director Jon S. Baird (Filth) focuses his narrative on a tour the pair took in 1953 towards the end of their respective career. The picture’s opening moment begins in 1937, as Stan Laurel (Steve Coogan) and Oliver Hardy (John C. Reilly) are at the top of their game. Laurel, who also writes the material for Laurel & Hardy, believes they should be getting a significant raise from movie producer Hal Roach (Danny Huston). Unfortunately Roach doesn’t see eye to eye with Laurel, and that rift would eventually lead to huge repercussions for both men. Cut to 1953, and the pair’s movie career has all dwindled, even though they both have hopes for starring in a talked about Robin Hood project. To make a living they tour areas of Britain, and their journey takes doesn’t exactly start off with a bang due to a sparse audience. Shirley Henderson and Nina Arianda co-star as their loving wives Lucille Hardy and Ida Kitaeva Laurel. Film buffs will surely love Baird’s attention to detail and the nuanced performances by Coogan and Reilly. One does not have to be a diehard fan of the two to actually appreciate the film, as Stan & Ollie is a resonant look at the inextricable connection between Stan Laurel and Oliver Hardy. It’s a film that was woefully overlooked last year, and hopefully now it will receive much more attention with its home entertainment release. Special features on the Blu-ray include three deleted and extended scenes and several featurettes. An informative and lively 30-minute Q&A session, which features Baird, Henderson, Reilly, and Coogan, is also part of the extras. 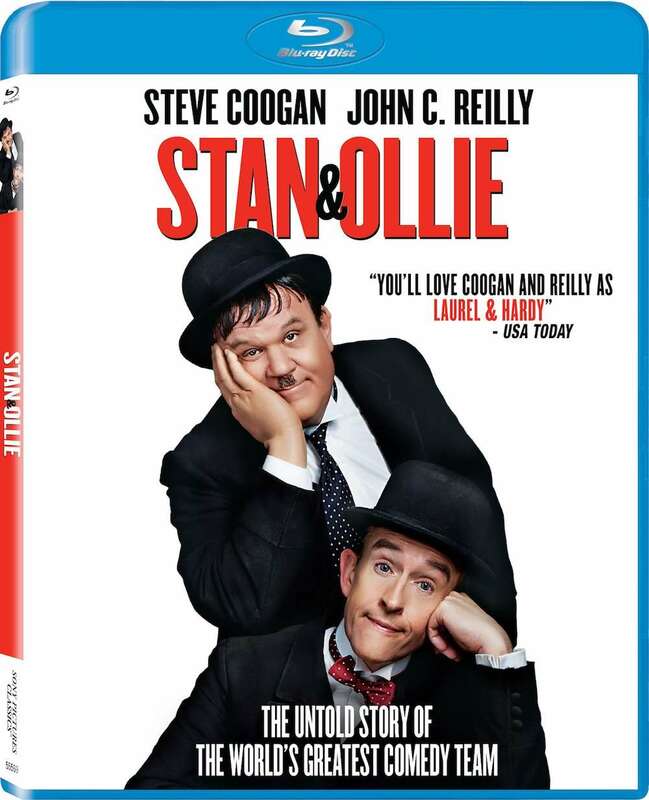 Stan & Ollie is now out on Blu-ray and DVD via Sony Pictures Home Entertainment. Welcome to Acapulco is not an A-list film that was released by big time Hollywood studios, but that doesn’t mean a ton of fun can’t be had. 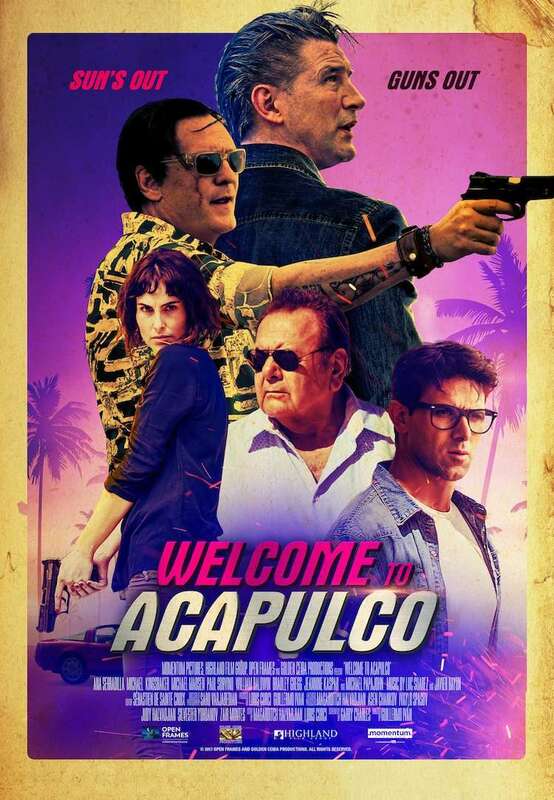 Directed with panache by Guillermo Ivan, Welcome to Acapulco is a diverting experience that should appeal to folks in need of an adrenalized action comedy. Video game designer Matt Booth (Michael Kingsbaker) is scheduled to attend the Video Game Awards in New Mexico but thanks to getting drunk with a friend at the airport he winds up in Mexico. Rescheduling his flight once he lands seems to be easy enough business, but now he’s being targeted by federal agents and criminals who are looking for a package that he’s supposed to be carrying. Michael Madsen co-stars as the enforcer who’s tasked with getting the package at any cost, and Ana Serradilla is the mysterious woman who attempts to keep Matt alive during this deadly journey. William Baldwin also stars as one of the high powered figures looking to capture Matt for his own personal gain. For 88 minutes, Welcome to Acapulco doesn’t let up on the action and the comedy, and thanks to the film’s beautiful locales and solid lensing from Ivan, the picture is also blessed with eye catching visuals. Ivan knows he’s making a guilty pleasure, wall to all action movie, and he succeeds even with a modest budget. Kingsbaker and Serradilla also have enough chemistry to pull the whole thing off, making Welcome to Acapulco one of this year’s more pleasurable cinematic surprises. Creed II was a box office smash, amassing over $213 million worldwide. Equaling that achievement is the film’s pinpoint storytelling execution, as it did not suffer the sophomore slump that befalls most sequels. This time out Adonis Creed (Michael B. Jordan) is the heavyweight champ who seems to have nothing left to prove. When Viktor Drago (Florian Munteanu), son of Ivan Drago (Dolph Lundgren, delivering an excellent, world weary performance), challenges him to a boxing match, Adonis doesn’t hesitate to step in the ring and defend his title. With Ivan killing Apollo Creed (Carl Weathers) in the ring years ago, Adonis is out for a bit of retribution, but this time Rocky Balboa (Sylvester Stallone) is not in his corner. Tessa Thompson rounds out the cast as Bianca, Adonis’ dedicated partner. 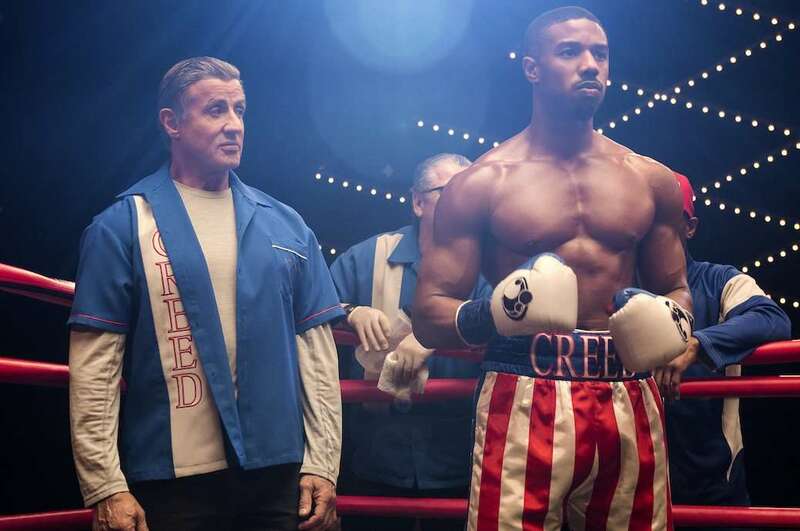 Running at 130 minutes, the picture had a ton to live up to thanks to the overwhelming success of Creed, and it absolutely scores a knockout punch, giving fans of the franchise equal time with Adonis and Rocky’s respective journeys. Steven Caple Jr. (The Land) directs the story sans a hitch, moving the story at a refreshingly brisk clip. Special features on the Blu-ray and 4K UHD versions include deleted scenes and several featurettes (Fathers & Sons, Casting Viktor Drago, The Women of Creed II, and The Rocky Legacy). The deleted scenes are a must see, as one sequence has Rocky delivering a moving eulogy for pugilist Spider Rico (Pedro Lovell) who appeared in Rocky and Rocky Balboa. Another sequence features a post match encounter among Adonis and Viktor that should have been kept in the feature (Rocky and Ivan also share a moment). The final two deleted scenes give us more time with Adonis and Bianca (one sequence is an extended moment at Max’s Steaks). Creed II is now out on Blu-ray, DVD, and 4K UHD. Written and directed by Meredith Danluck, State Like Sleep centers on Katherine (Katherine Waterston), a widow who returns to Belgium to pick up her belongings and ultimately close a tragic chapter. Katherine’s husband Stefan (Michiel Huisman) was a popular actor, and his suicide was absolutely unexpected. Stefan and Katherine’s relationship may have been going south due to Stefan’s drug addiction and errant behavior, but death never seemed to enter the equation. Katherine’s mother Elaine (Mary Kay Place, delivering an affecting performance) is also in Belgium to help with the transition, but Elaine’s health problems lead to hospitalization, leaving Katherine to her own devices. After Katherine returns to the apartment she and Stefan shared, she starts digging into his life, believing a club owner named Emile (Luke Evans) may have played an important role in her husband’s death. Ramping up the mystery is Edward (Michael Shannon), who is Katherine’s next door neighbor while she stays at a hotel. What turns out as an awkward first meeting leads into a much different direction, giving Katherine what seems to be hope for the future. Danluck cloaks her story with film noir trappings, and it’s refreshing to see a woman dominate a predominantly male driven genre. 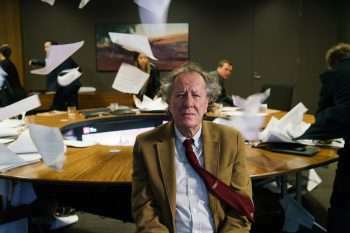 Femme fatales often give way to complex characterizations, but they usually don’t anchor the narrative, and Waterston is more than up to the task. 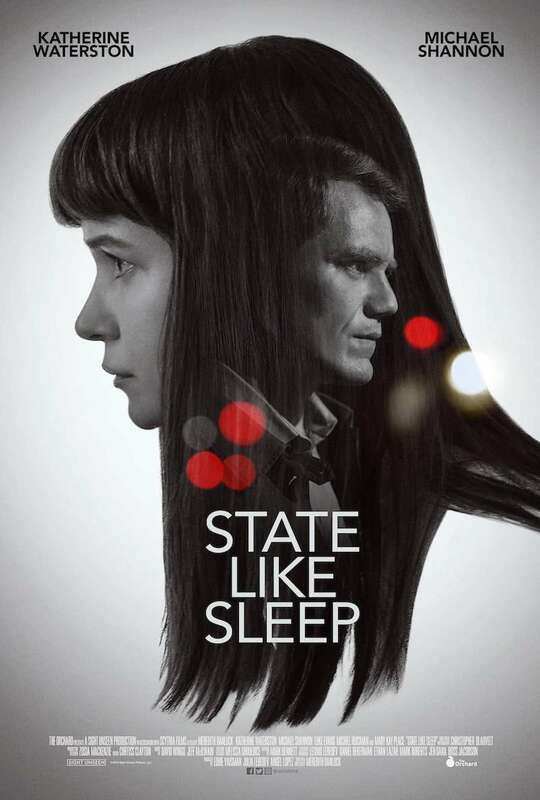 State Like Sleep, now available on Digital and On Demand, hits theaters January 4. On the latest episode of CinemAddicts we cover two films that definitely will be remembered come awards time. Both Roma and Cold War come straight from the heart, as the directors used inspiration from their own lives to helm their respective features. The relationship of his parents inspired Pawel Pawlikowski (Ida) pen and direct Cold War, the story of two lovers (Joanna Kulig, Tomasz Kot) who spend years attempting to solidify their relationship. Alfonso Cuaron’s Roma centers on a maid named Cleo (Yalitza Aparicio) and her life in Mexico City. The project, which was also penned by Cuaron, is inspired by his own childhood and it’s his most personal project to date. Take a listen to our review of both films in the episode below! Cold War opens in select theaters on December 21, with Roma landing a December 14 premiere on Netflix.